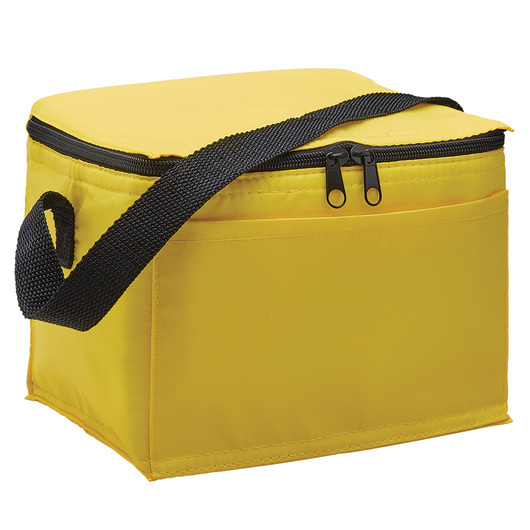 Suitable for outdoor travel, hiking, lunch, or picnic. 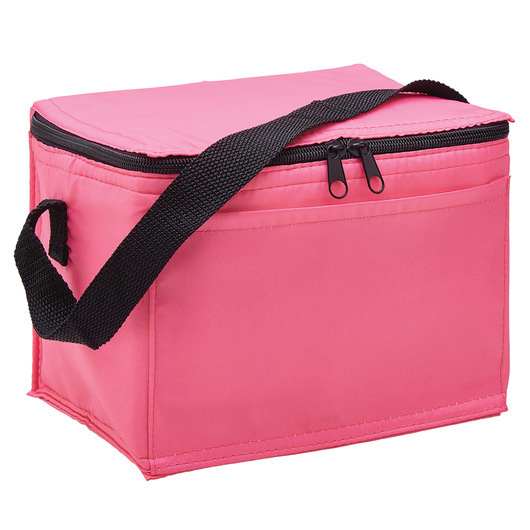 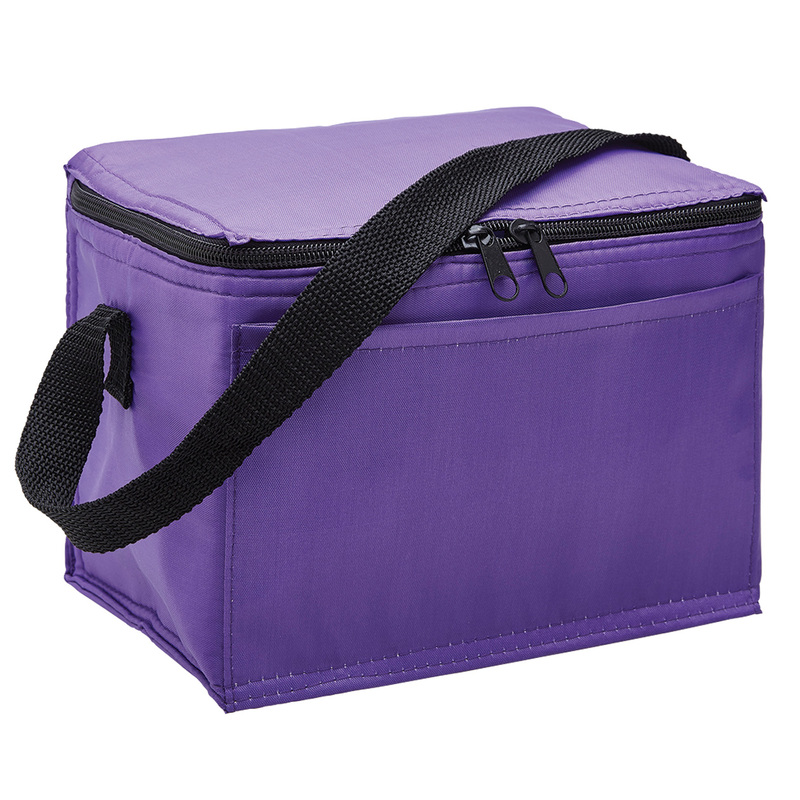 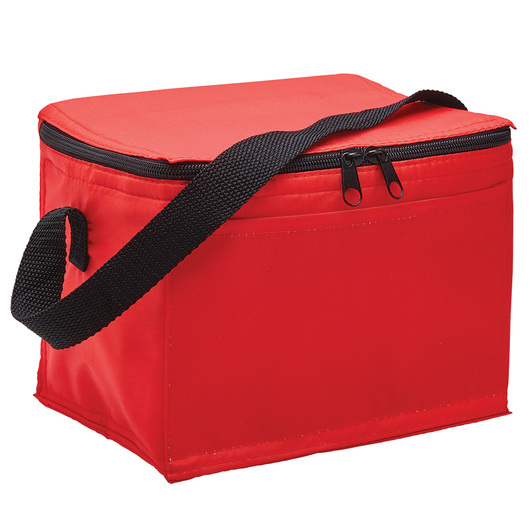 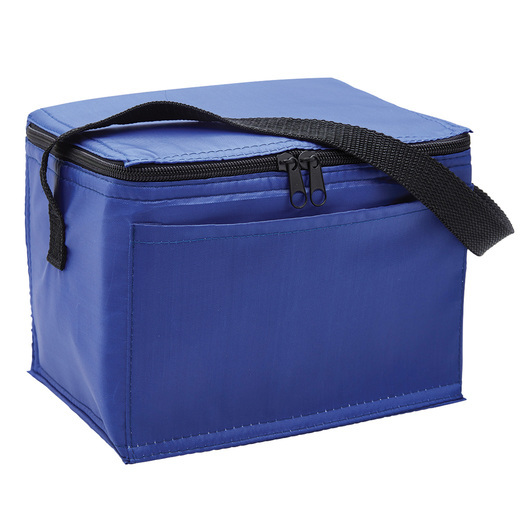 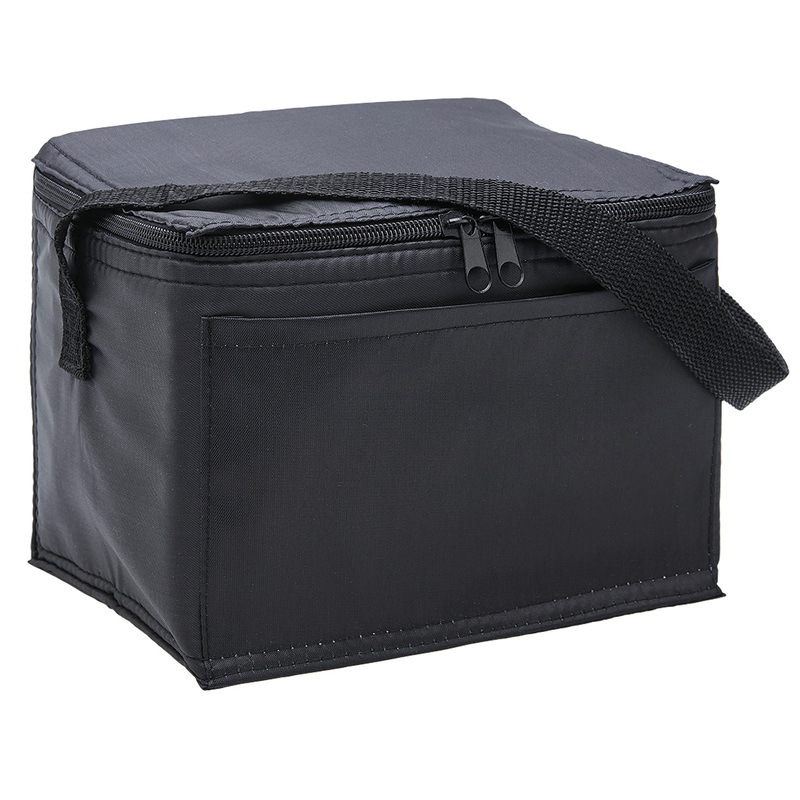 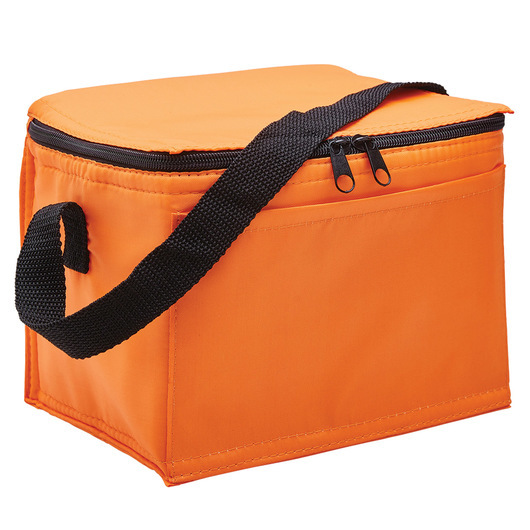 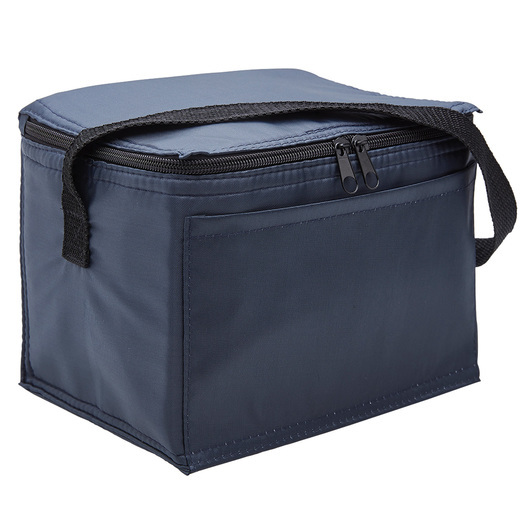 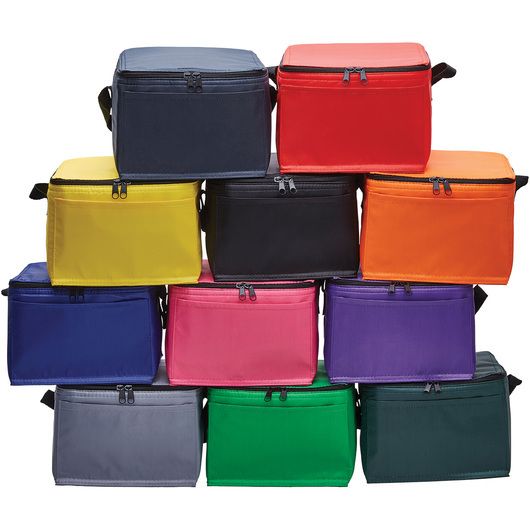 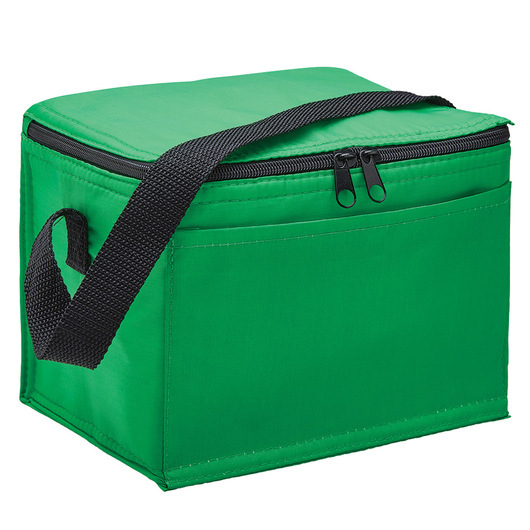 This cooler bag will conveniently carry and keep your food and beverages fresh and cool while on the go. Perfect size bag for any lunch, or just to use for an afternoon outing to pack snacks and drinks. This lightweight and convenient cooler bag is for people with places to go. 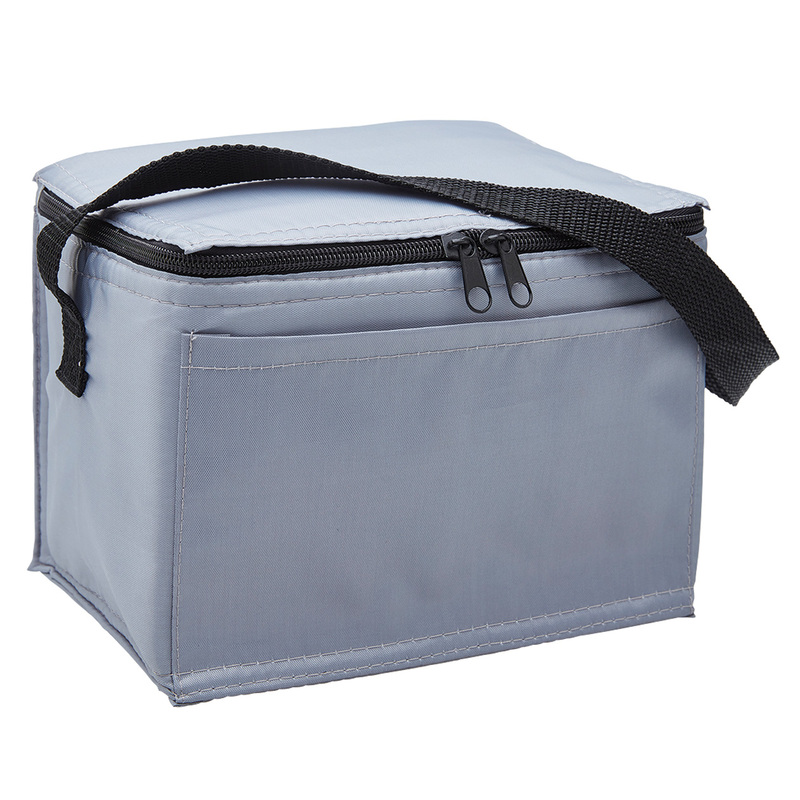 With its thermal lining, your drinks will stay cool for an extended length of time. Made from durable 210D polyester fabric and has a carrying capacity of 4.5 litres and 6 can capacity. 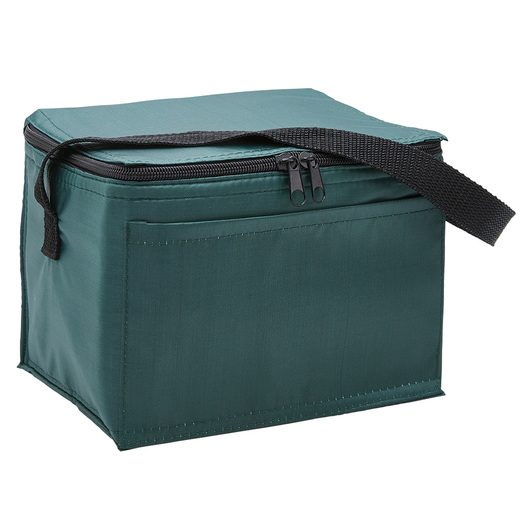 It also features a front slip pocket, zippered main compartment, and a webbing carry strap.